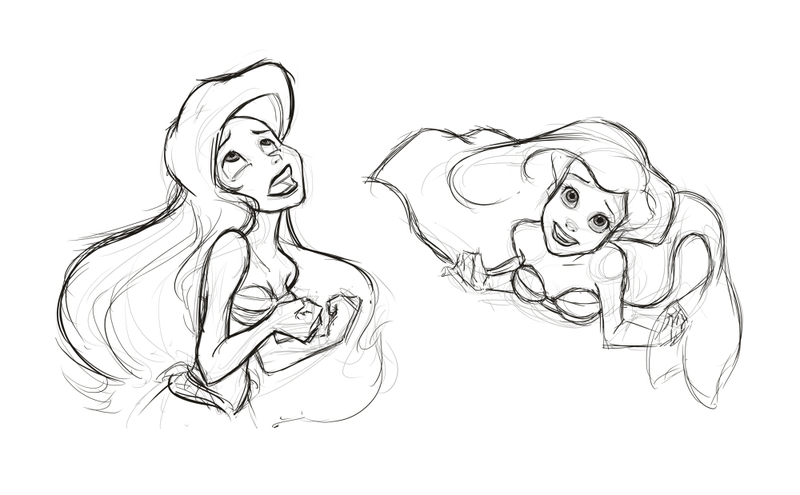 I decided I’d really like to be able to draw like Glen Keane, who worked for Disney designing such characters as Little Mermaid, Tangled, Pocahontas, Beauty and the Beast, etc. The way I’ve always learned to pick up new styles is by sketching the work they’ve already done and I have a couple sketchbooks getting filled with the stuff. I was hoping my blog could be used to keep work no matter how small so here it goes!